Dampness, cracks and poor thermal or acoustic insulation are important problems normally found in old houses that must be fixed for aesthetics, safety and health reasons. How many times we have said; damp patches, leaks, doors that do not close properly ... This house is a ruin! 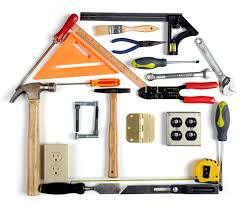 What are the most common problems in a home? What are the causes and how can be solved? Dampness and leaks are frequent problems, together with other important hindrances, such as acoustic and thermal insulation or cracks. Some of these faults require to be put in the hands of competent professionals to be able to obtain a final solution, although there are also some actions that the users can adopt to stop the advance of the problem. Few things are more unpleasant in a dwelling than dampness. The stains on the walls are very unsightly, they provoke a sensation of cold and, in addition, many other complications are associated with this problem such as paint flaking, tiling coming off walls, curved floors, etc. This fault may last a long time and is not always easy to solve. Moisture in the house is also the focus of potential diseases: being exposed to high levels of humidity for a long time may increase the possibility of asthma, sinusitis bronchitis etc. Humidity may be due to the rise of water contained in the ground by capillary action, faults in the installations due to poor pipe joints, lack of sealing in bathroom elements or the joint between external joinery with the facades (if it appears next to the windows). It can also be due to condensation (in showers, bathrooms, kitchen ...) with poor ventilation. To avoid it, pipe leaks should always be repaired as soon as possible, if what you have is condensation good ventilation is called for (use extraction fans when cooking, but also when cleaning, putting the dishwasher, etc. ), as well as having dehumidifiers. If the problem is due to rising damp, the interior walls must be covered with a dry liner that improve insulation between the external and internal wall and in addition it is recommended that the paint on the existing wall, to be of an antifungal type. In the most difficult cases, it is best to obtain the help of a professional. Problem 2. Fissures or cracks? The cracks are one of the problems that cause more alarms, since it is not easy to distinguish between a surface (crack) and a deep crack, which is a symptom of a structural problem. The fissures are not dangerous and can be produced by door slamming, poor quality of the plaster etc. The cracks which do pose a danger have a greater depth. In general, the sizse of the cracks are at least one centimetre wide and are in elements such as beams, load bearing walls or columns. When in doubt, you have to go to an architect to assess the problem. Obviously these cracks have always to be repaired and any structural element that may be damaged must be reinforced, changed or repaired. I don’t have to tell you that Spain is a noisy country. The screams of those in the pub’s terrace just under your flat, the neighbour’s TV, pipe noises or the ladies high heels on the floor above could be a real torture ... Bad acoustic insulation can turn a home into a hell. Whether the house is sound insulated or not depends mostly on the age of the property. New properties have a much higher standard of noise insulation not only on airborne sounds but also to impact sounds. Airborne sound works its way very similar to water. Wherever there is a hole or crack the sounds will get through. It is no good to have awesome thick double glass windows if the joinery does not fit tightly and hermetically. Nonetheless the noises that are transmitted through the air can be easy to attenuated, and do not require a great reform in most cases. Another thing is the noises transmitted through the structure. In this case depends on how and with what materials the house was built. Sometimes it is necessary to make important reforms to finish with the damn noises and in those cases it is better again to call the professionals. If the drain is blocked or the water proofing is in a bad condition, a leak can lead to water ingress. This problem almost always derived from a faulty waterproofing and must be fixed as soon as possible to avoid major damages such as paint peeling, leaks and even dangerous short circuits that can lead to fires. Repairing leaks as soon as possible is essential for safe and comfortable living. The first stage is to locate where the water does comes in, not always easy, as water show itself where it gets out but not where it gets in. After locating the leak, it is necessary to waterproof again, which will end the problem. This can be done using new multilayer membranes with or without aluminium as a finishing coat, waterproofing paint or sealants depending on the money you want to spend and on the type of surface you want to repair.